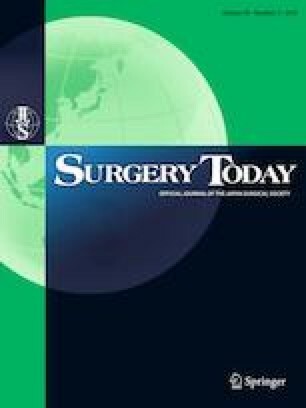 The aim of this review was to analyze the currently available literature on single-incision laparoscopic surgery (SILS) for Crohn’s disease (CD) with respect to surgical indications, surgical techniques, feasibility, and possible benefits of SILS for CD. A systematic query of articles published from January 2010 to July 2018 was performed. The studies were assessed for patient’s age, gender, body mass index, disease type, SILS procedure, surgical procedure, incision length, operation time, rates of conversion to open surgery, postoperative complications, mortality, length of hospital stay, and rates of reoperation. After an initial review, 11 reports were selected. The surgical techniques and instruments showed wide variation. The mean operation time for SILS tended to be shorter than that for multiport laparoscopic surgery (MLS). The reported rates of conversion to open surgery and postoperative complications were not very different from those reported for MLS. In conclusion, the present review suggests that the SILS technique may be feasible and safe for select patients with CD. However, because we reviewed only a few studies with small sample sizes, prospectively designed trials with a large number of patients are required to clarify the true benefits of SILS for CD. The authors declare that there are no conflicts of interest or financial ties to disclose.